Many of us take for granted the routineness of going to the bathroom simply to urinate. Most often we’re at home, at the office or in school and when we get the urge, we get up and go and don’t think much of it. After all, it’s nature calling. It’s a different story, though, for anyone with a urinary system problem – such as a urinary tract infection (UTI), which usually is accompanied by pain as well as other symptoms that tell us something is wrong. For anyone suffering from a urinary tract infection, there is nothing routine or normal about it – the pain can be sharp and unsettling. Yet, it is a relatively common affliction that affects millions of people every year, per hopkinsmedicine.org, with women much more likely to contract a UTI. Another problem for men is a change in urinary health related to an enlarged prostate, also known as benign prostatic hyperplasia (BPH), per prostatesupplements.com. When the prostate enlarges, it can press in against the urethra, with that squeezing action hindering the ability to thoroughly empty the bladder, producing residual urine, possibly leading to a UTI. These infections are the result of enhanced levels of bacteria colonizing the urogenital tract. It is a commonly acquired type of infection found in both hospitalized and non-hospitalized individuals, per totalhealthmagazine.com. Estimates are that up to 50 times as many women as men experience UTIs, and that 40 to 50 percent of women will suffer at least one UTI in their lifetime. If treated properly and promptly, UTIs rarely turn into a serious illness, although a UTI left untreated can lead to kidney infection and possibly involve permanent damage. Part of the problem in treating a UTI, even when it has been properly diagnosed at an early stage, is that many bacteria have become antibiotic-resistant, leading to recurring infections. This has become a problem across many fronts in the medical field when it comes to the treatment for many conditions and illnesses that warrant treatment with antibiotics. Bacteria that have evolved into “superbugs” have rendered many antibiotics ineffective. This has placed added importance on preventative practices and homespun remedies that start with drinking plenty of fluids (start with water), staying clean and dry, and adding specific vitamins and supplements to the diet, with a physician’s or nutritionist’s guidance, of course. 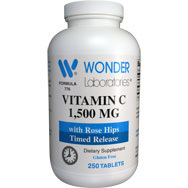 Vitamin C. It enhances the acidity of urine, thus deterring the growth of E. coli, while also bolstering the immune system. Per draxe.com, a 2007 study using a daily intake of 100 milligrams of vitamin C for three months helped reduce urinary infections, improving the health of gestating women. Clove oil. Published research indicates that clove oil has antimicrobial, antifungal and antiviral properties. It also is an anti-inflammatory, used in some treatments to alleviate pain and speed healing. Cranberries. The fruit contains a compound called A-type proanthocyanidin (PAC) that acts similar to Teflon coating when inside the bladder, preventing bacteria from becoming infectious in the bloodstream, per prevention.com. D-Mannose. A natural sugar found in some fruits as well as in some of the cells in our bodies. 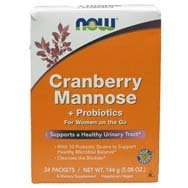 It works like cranberries, acting as a protective lining in the urinary tract. 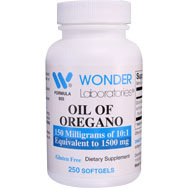 Oregano oil. 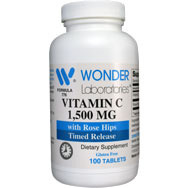 Has been found to inhibit the growth of E. coli, the type of bacteria most often found in UTIs. Research has suggested that oregano oil may be more effective than prescription antibiotics in treating UTIs because it doesn’t produce harmful side effects or cause antibiotic resistance. Probiotics. Otherwise known as “good bacteria,” probiotics are well known for keeping the bad bacteria in our gut from causing problems, and there is some evidence that it can do the same with our urinary tract. Pygeum. An extract from an herb that grows on a type of African tree, per prostatesupplements.com. 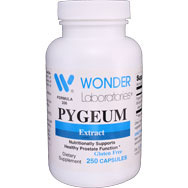 It has been used for many years for bladder health as well as for aging prostates in men. 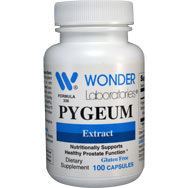 It has proven useful especially for men plagued by sexual and various urinary health problems. Saw Palmetto. 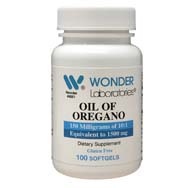 Contains sterols and stanols, and it has been used for hundreds of years in aiding men with prostate problems and urinary tract issues. Stinging Nettle. The name sounds a bit ominous, but actually it is a soothing remedy that possesses diuretic and anti-inflammatory characteristics.